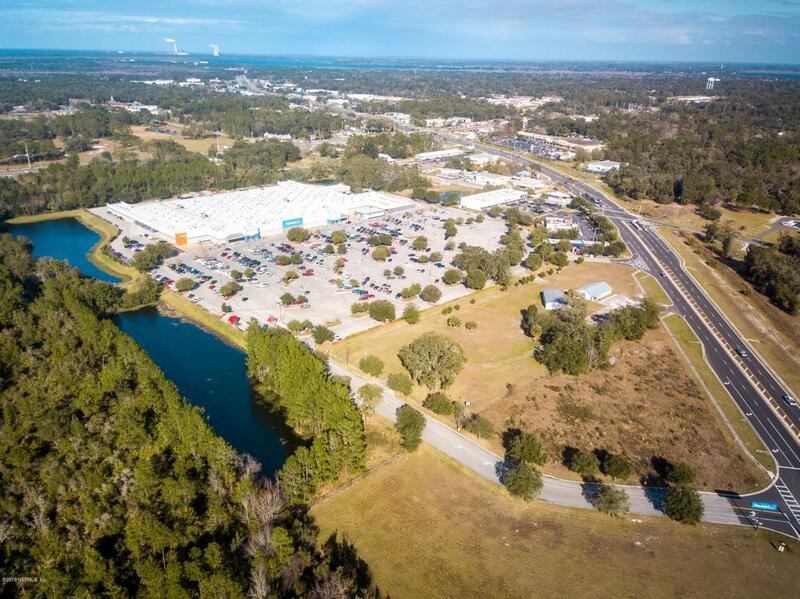 PRIME COMMERCIAL OPPORTUNITY IN THE CENTER FRONT OF THE BUSIEST RETAILER IN PALATKA. This 4.35 acresis located on St. Rd. 19 S directly in front of the WalMart Super Center with 286 ft. frontage on St. Rd. 19 , 238 ft. frontage on the Southerly WalMart access road and 636 ft. frontage on the Walmart Center road. Property will require rezoning for development andhas existing retention and is partially fenced. It includes the church, fellowship hall, a 2002 Homes of MeritDWMH, a 1990 SWMH and a metalgarage/workshop (675 sq. ft.).